BC's Chamber of Commerce and private companies say the province must reject Metro Van's proposed Bylaw 280 and the half-billion dollar incinerator because it stifles entrepreneurial spirit and creates an unhealthy monopoly. 30th in the series. One of 40 employees of Vancouver's MattressRecycling.ca, recovering valuable material in a product until recently thrown into incinerator or landfill. An organization representing more than 36,000 businesses in British Columbia is calling on Metro Vancouver to drop plans for a new half billion dollar garbage incinerator. It's also urging the province to reject new regulations controlling the flow of waste in the Metro Vancouver region. The BC Chamber of Commerce says the regulations and incineration plan will hurt private businesses in the province by shutting them out of future business opportunities. “Metro Vancouver needs to take a good hard look at those opportunities, rather than barrelling forward with a plan that leaves taxpayers and businesses on the hook for a $500 million incinerator that we simple don’t need,” says John Winter, president and CEO of the BC Chamber of Commerce. The Chamber says BC businesses will be hurt by Metro Vancouver’s proposed Bylaw 280, which would require all garbage from the region be brought to approved dumping facilities within the greater Vancouver region only. Metro Vancouver recently found that a portion of its garbage is being trucked to facilities outside the region. 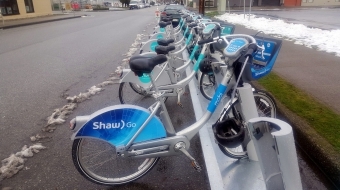 Most of these facilities are in Abbotsford, where 'tipping fees' charged to dump the garbage are lower and there are fewer restrictions on banned materials such as paper, plastics and wood products. The Chamber of Commerce says private industry is ready to spend its own money to build facilities that can sort through garbage bags and recover valuable material for recycling. However, if Bylaw 280 is passed, garbage will be restricted to Metro Van operated facilities only, such as an incinerator. Businesses are also concerned that a new incinerator will halt future recycling initiatives that are evolving as more markets open for used material. Fabio Scaldaferri is an example of a young entrepreneur who recognized and seized upon the value of a discarded product with no apparent value to Metro Vancouver. 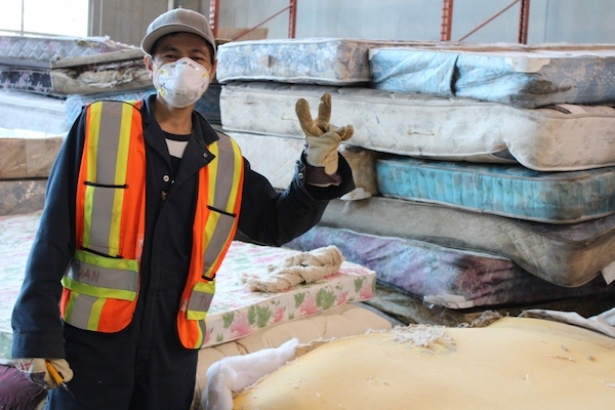 Thousands of used mattresses were taking up hundreds of thousands of feet of space in the Vancouver landfill. In 2011, Scaldaferri received a loan from Vancity Credit Union to begin a MattressRecycling.ca program that has grown steadily to a projected 84,000 recycled mattresses this year. Today Scaldaferri is working on a new deal with a Seattle company anxious for all the carpet underlay that can be collected in the greater Vancouver region. 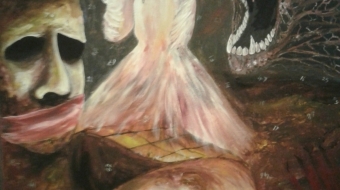 Currently most of the underlay is thrown in a landfill or burned in the existing Burnaby incinerator. It’s a new market for a recyclable material that has held little value, until now. “Foam is quite valuable right now. Underlay is being land filled or incinerated and we are burning a commodity that is quite valuable. We are recovering that commodity and sending it across the border to be made into new underlay,” Scaldaferri explains. Scaldaferri says an incinerator, however, would stifle recycling innovation and make it more difficult for recycling entrepreneurs to seize upon new opportunities and new markets. Metro Vancouver, meanwhile, said later in an email that it actually helped boost mattress recycling efforts by imposing a mattress disposal ban in January 2011. Spokesperson Glenn Bohn said as a result of the ban, more than 150,000 mattresses were recycled in the region last year. Metro Vancouver is forging ahead with a plan to build a $517-million waste-to-energy incinerator as part of an overall regional plan to handle future garbage in the region. The plan calls for recycling up to 70 per cent of waste by 2015, and an “aspirational” goal of 80 per cent diversion of waste by 2020. But that still leaves approximately 700,000 tonnes of residual waste that Metro Vancouver says must be disposed of. 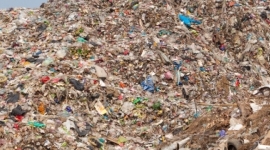 Landfills are no longer an acceptable disposal method due to the methane greenhouse gas produced by rotting garbage. An incinerator, on the other hand, can generate electricity to power homes and businesses. Last week BC Hydro rejected Metro Vancouver’s projections that it would pay up to $100 per megawatt hours for electricity from a waste-to-energy facility. A number of private companies, including Northwest Waste Solutions and Belkorp Environmental Services want to build large sorting facilities that can rip open garbage bags and pick out any valuable recyclable material. The businesses believe they can generate an additional 36 per cent of recyclable material from garbage destined for an incinerator while creating dozens of new jobs. Northwest Waste Solutions has already built a facility in Vancouver, and Belkorp has proposed a $30 million material recovery facility (MRF) in Coquitlam that has the support of the City of Coquitlam. Both companies are worried that a half-billion dollar incinerator with an enormous appetite for garbage would starve their operations of much needed material and reduce recycling efforts. Businesses and the BC Chamber of Commerce accuse Metro Vancouver of creating a monopoly over the garbage stream, allowing the regional authority to increase tipping/dumping fees to fund its programs and a new incinerator.